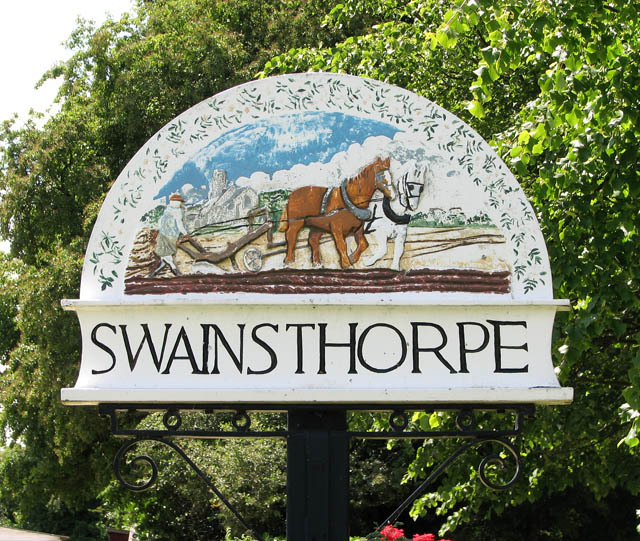 The village of Swainsthorpe lies five miles south of Norwich and was mentioned in the Doomsday book as Sueinestorp. It has two churches (St Peter's and St Mary's) yet the latter is in ruins. The cache is a custom container - please bring your own pen!